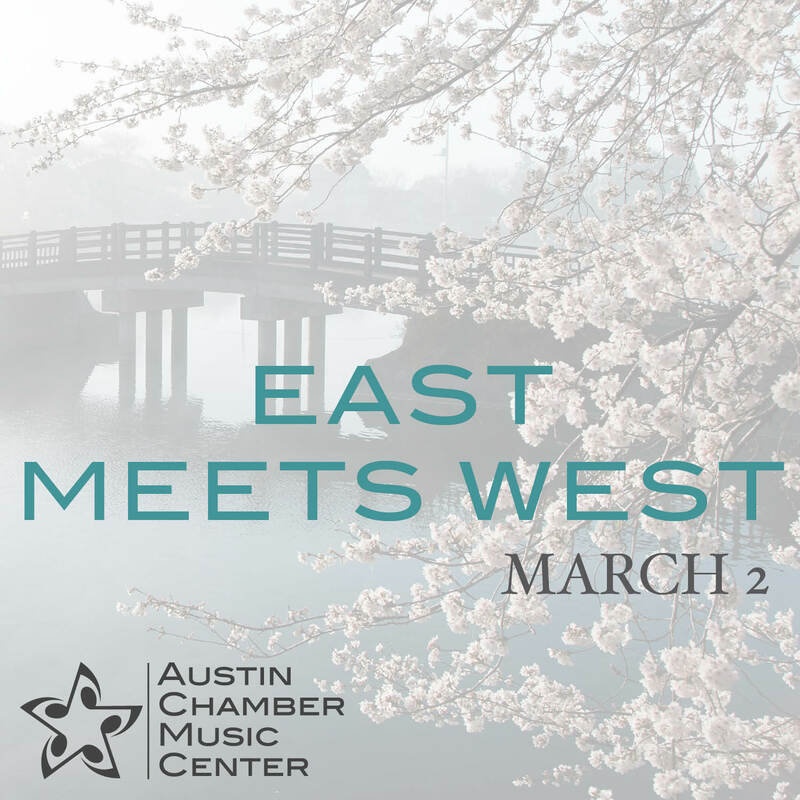 A continuation of our season’s Landscape concert series, join Austin Chamber Music Center for a night of Eastern music as well as the Western classical music it inspired! Eastern music, heard at the 1899 World’s Fair in Paris, ignited the imagination of composers across the globe. It profoundly affected the French Impressionists and changed the future of classical music. We’ll bask in Japanese composer, Toru Takemitsu’s perfume-y music next to masterworks for piano trio by Debussy and Ravel. Violinist Sandy Yamamoto serves as our ambassador.